DocMagic, Inc., the leading provider of fully-compliant loan document preparation, compliance and eDelivery solutions for the mortgage industry, announced today that its Dodd-Frank Implementation Roadmap webinar attracted a capacity crowd, with over 2,000 people requesting a spot at the virtual table, making it the most popular online event the company has presented this year. The program, which aired May 15, was the first in a series that the company is offering to the industry and was designed to help those who may be subject to the final Dodd-Frank Rules jumpstart implementation of the Rules. 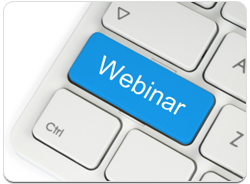 Other webinars in the series include the Ability-to-Pay/Qualified Mortgage, Loan Officer Compensation and HOEPA.